The way we typically arrange things in cities today is based on a culture of automobility. Over the yeas, the planning profession has little by little accommodated the needs of our motorized companion in the built environment and up to a point where it’s not clear anymore whether it’s people or cars who get the last word in our plans. The car culture’s lifeline is naturally the road network that allows the four-wheeled beasts to roam our communities. We’ve spent a lot of time and money turning enormous areas of land into places that no one wants to be near unless protected with a metal box. And in the process of doing so, we’ve simultaneously opened the Pandora’s box of auto-dependency. “If you build it, they will come” is a popular phrase to describe the reality that building more roads and lanes always generates more traffic. When people got in their cars, it became reasonable to design everything else to accommodate the needs of the automobile as well. Think parking lots, garages, gas stations, hypermarkets, and drive-thrus. But the consequences are not only limited to ugly cityscapes. Auto-dependency has environmental,social and economic impacts too. We of course could not do without the automobile anymore, but we can choose which one is the master and which one the slave in urban development. An effective start would be to take a critical look at the roads in our cities and discuss who and what purpose do they serve? There is a gigantic difference between a street and highway. The first one is a public arena for urban culture while the latter is supposed to connect cities with each other. Unfortunately, we’ve somehow decided in our car obsession that it would be a good idea to mix the two together. The result has been the automobile’s greatest triumph. Economics aside, stroads are also very unproductive culturally. The more “highway elements” a stroad has, the less it becomes compatible with a meaningful people habitat. An urban street (think of cities before suburbanization) is not only limited to act as a space for movement, but also for communication, social and commercial encounter and exchange. It is a public space, a place to do business, a political space, and a symbolic and ceremonial space in the city. In this context, I want to flag two recent stroad-related plans that bring cautious hope of a new direction for Finnish urbanites. 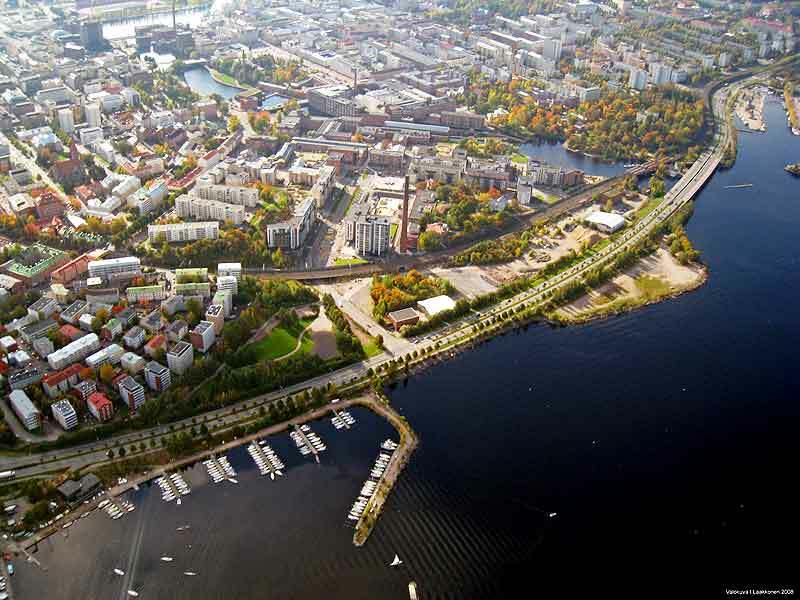 The city of Tampere plans to bury the inner city section of a highway underground with a tunnel project. 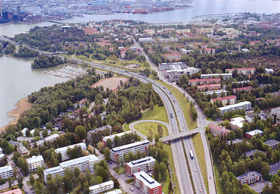 And Helsinki is investigating if Länsiväylä, the most important road to Espoo, could be transformed from a highway into an urban boulevard. 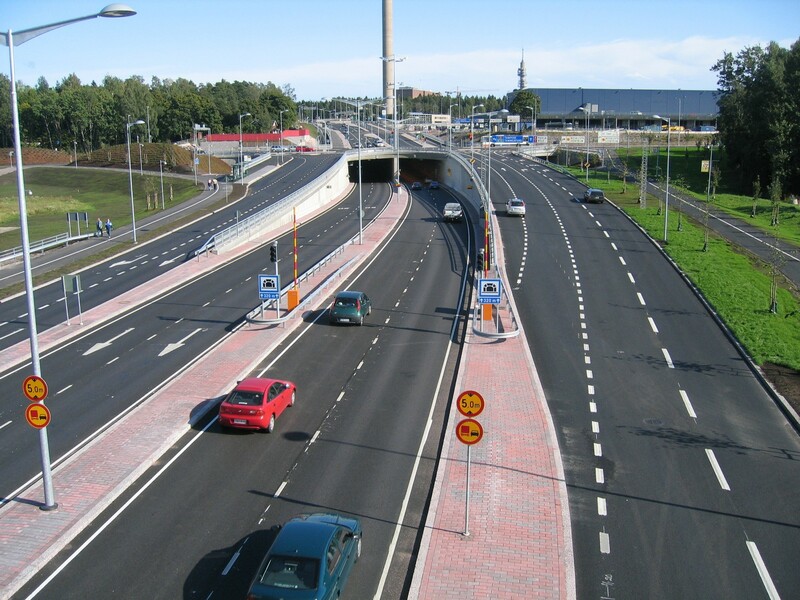 Tampere’s tunnel project is very significant in my books, because the city has a very sad history of anti-urban and pro-sprawl planning. They’ve even built a modernist satellite city, Hervanta, in the middle of nowhere to celebrate the new world order. The car is now so strongly embraced that some people I know actually consider it shameful to use public transport and/or cars play a significant role in their lives. This lake shore will be freed for people. Photo taken from the city’s website. One of the city’s modernist projects was to build an east-west highway through the city to ease transit traffic and accommodate the needs of increased car-ownership. This four-lane road runs along the coastline of Lake Näsijärvi on the northern side of Tampere. It has not only very efficiently blocked access to the lake since the 1970’s, but diverted growth from the inner city to suburban locations. To my great surprise, a few years ago the city suggested that some of this land should be put into better use by digging a tunnel for the road. The ongoing discussion had before this been whether congestion could be relieved by adding more lanes to the road. I was sure the tunnel would never happen, but I am very happy to have been mistaken. The tunnel plans are now almost finalized and received political approval last year by the city council. Länsiväylä now. Photo courtesy of Carlos Lamuela. Helsinki has followed suit and gone a notch further. 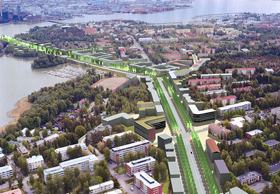 As I already mentioned, the plan is to get rid of a stroad once and for all by depaving Länsiväylä from a six-lane highway into an urban boulevard. This discussion has evolved in connection with the decision to extend the city’s subway line to the west. 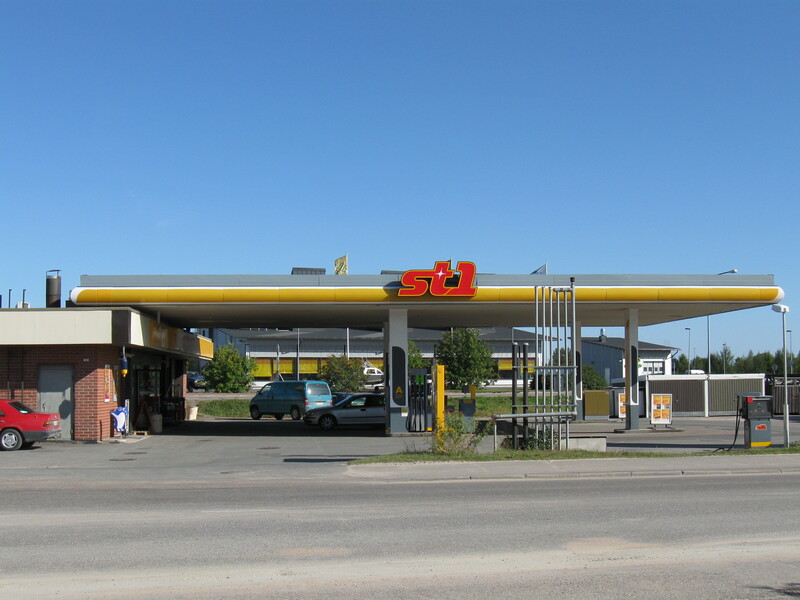 The initiative would make sure that suburbanites from Espoo would opt to take the tube instead of driving. The urban boulevard. Picture courtesy of Carlos Lamuela. The idea originates from an Aalto University student, Carlos Lamuela, who envisioned in his master’s thesis that the transformation would free land to accommodate about 16 000 new residents and 8 000 workplaces. And most importantly, the plan would create “a classic boulevard where all city functions happen: residential and commercial buildings, public space and all modes of transportation, i.e. pedestrians, bicycles and vehicles”. Best of luck to both plans! These initiatives are very welcome statements for change in the conventional auto-oriented city planning attitudes. I hope we can start focusing on building streets, not stroads. Urban tunnels seem to be the new trend in Europe. They provide great opportunities for combining accessibility and liveability. I am now working on a similar project, the construction of a tunnel on the southside of Amsterdam, right in the middle of the Zuidas, the city’s CBD. Have look over here: http://www.zuidasdok.nl/en. And another nice example is the tunnel in Maastricht, here’s the link: http://www.a2maastricht.nl/nl/dp/engels.aspx. This tunnel is now under construction. Cool, I didn’t know you were working on such a project! I couldn’t help notice that the plan is also to expand the highway with new lanes to cut down congestion. A case of “if you build it, they will come” ;). We should seek ways of cutting down the need to use cars altogether by investing in public transit; more roads and lanes always lead to more traffic. Before you know it, it seems like a good idea to add some more lanes to cut down congestion. I enjoy reading your blog once in a while. This article reminds me of some stuff I used in my thesis. There was a British Committee in the early fiftees (I believe ’51 or ’52) that wrote about the necessity to tame traffic to keep cities vital, ‘Traffic in Towns’ by I believe someone named Buchanan. It’s a great read if you’ve got some spare time. Very visionary! My thesis was about a Dutch phenomenon called ‘woonerfwijken’ (almost everything built in the Netherlands between 1970-1985), a type of neighbourhood in which the prime characteristic is the fact that car use is ‘tamed’ by a (terribly chaotic) multi-landuse structure in which parks, cycling paths and walking lanes are hierarchically more important than roads. More recently (’90s) the Shared Space movement emerged, an interesting philosophy that has a lot of resemblance with the change in attitude in Finland as you describe. There’s some interesting examples of how shared space ideas improve the quality of cities. Nice to hear you enjoy reading my stuff! I should go find that book, because all those 50’s and 60’s books on good urbanism are the best. The authors still have a close connection with times before the modernists truly took over and have been a part of the change themselves. For example “The Death and Life of Great American Cities” by Jane Jacobs (1961) is an essential read for everyone in the planning profession. At least in the Western world, that is. To my experience, you Dutch have done quite well with your planning concepts. It also helps that every inch of land is very valuable over there and there is little room for bad planning. With our planning concepts, you could probably fit 50% less people in your country..